An injury to the spinal column can change the course of your life. The nerves housed within the column are what allows your brain to communicate with your body. Trauma to that system can impair this communication. 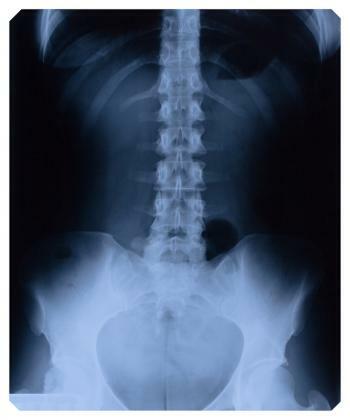 Vertebrae – the bones protecting the nerves – can also be broken or otherwise damaged. Lifelong paralysis may result. If you think you may have a case against the person or other party who is ultimately responsible for your spinal cord injury, please call the experienced lawyers at The Kelleher Firm in Fort Myers and Naples, at 833-546-3675. The loss of motor control and loss of sensation that commonly result from spinal injuries is truly life-altering. Depending on the location and nature of the trauma, a victim may be paralyzed in the lower regions of their body, a condition called paraplegia. All four limbs of the body may be paralyzed, which is called quadriplegia. These devastating injuries affect all aspects of a person's life. Serious emotional, mental and psychological ramifications can stem from the physical trauma. According to Mayo Clinic, motor vehicle accidents – including motorcycle accidents – are the leading cause of spinal injuries. In fact, more than 35 percent of the spinal cord injuries that occur each year are caused by motor vehicle accidents. In just about every crash, someone is ultimately at fault. This person's negligence, their carelessness, is what caused the accident and therefore caused the spinal cord injury. This person can be held accountable in an injury claim handled by our attorneys. How Can I Get Paid for a Spinal Injury? The costs of living with spine trauma may go far beyond what the insurance company is offering you. You may require specialized healthcare for the indefinite future. In order to adapt to the effects of your injury, you may require a motorized wheelchair and accessibility modifications to your home. The attorneys at The Kelleher Firm work to pursue money on your behalf so that you can live a fulfilling life despite your injury, including getting the medical care you need. Have you or a loved one suffered a spinal cord injury because of someone else's negligence? If you live in Naples, Fort Myers or the surrounding areas in Florida, please call The Kelleher Firm at 833-546-3675 for a free case review. Disclaimer: The information throughout this injury and accident law firm website is not intended to be taken as legal advice. The information provided by Jim for Justice is intended to provide general information regarding car accidents, workers' compensation, slip and fall injuries, dog bites, wrongful death, truck accidents, and other bodily or severe injury for residents of Naples. Fort Myers, Cape Coral, and nearby areas of southwest Florida.This website is not intended for viewing or usage by European Union citizens. If you are interested in finding out more, please contact our law firm offices today for a free, personal consultation. Read our ADA compliance disclosure.